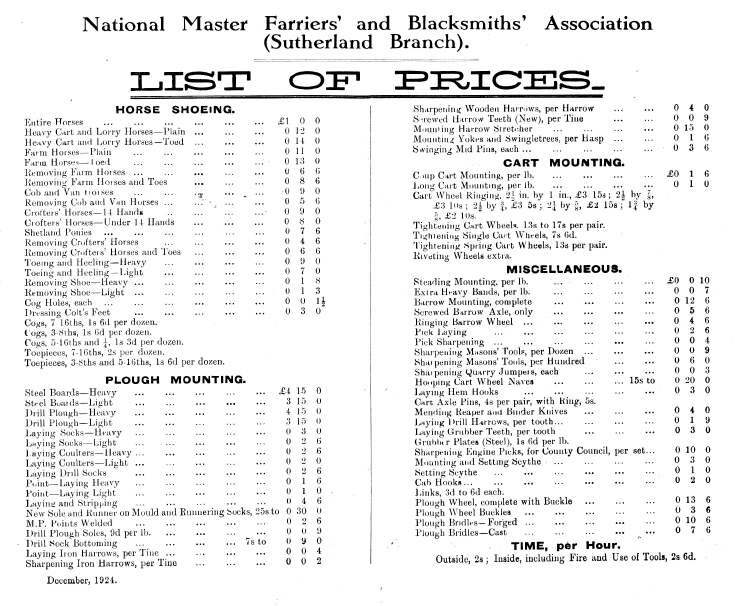 Mounted on card list of prices distributed by Farriers' and Blacksmiths' Association. Details of prices for horse shoeing, plough mounting, cart mounting, miscellaneous items. Produced in December, 1924.